Why Do We Fast on the Day of Ashura? What Are the Benefits? Muharram is one of the most blessed months in the Islamic calendar, as it is also the month that commences the Hijri year. It has been pointed out that fasting in the month of Muharram is better than any other month after Ramadan (Sahih Muslim). Fasting on the 10th day of Muharram is known as the day of Ashura, which honors the day when Allah granted Prophet Musa (AS) and the Children of Israel emancipation from the tyrannical Pharaoh. Primarily, the concept of Tawakul (reliance on God) had been tested on this 10th day of Muharram, as Musa (AS) was helping the oppressed Children of Israel escape the clutches of the Pharaoh. Tawakul is having the unequivocal faith of trusting Allah. Musa (AS) was cornered before the Red Sea with his people, and did not even flinch upon hearing the stampede of the Pharaoh’s army behind him. Instead, he chose to rely entirely on Allah alone, and that is what set the ideal scene of Tawakul and marked it as the day of Ashura. It is said that Musa then fasted out of gratitude to Allah, and his people continued the practice after him. 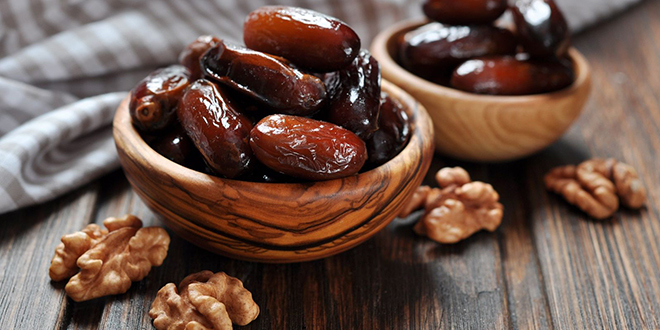 However, the Prophet (SAW) has told us to fast on two days of Muharram, not just one. It makes no difference whether it is the 9th and 10th, or the 10th and 11th. This is because when the Prophet emigrated from the city of Mecca to Al-Medina, he observed that the Jews were also fasting on the 10th of Muharam as a token of joy for Prophet Musa (AS). Consequently Prophet Muhammad (SAW) ordained the Muslims to fast an extra day, either on the 9th or 11th, as the Prophet (SAW) told the Jews that indeed the Muslims are closer to Musa (AS). This is to differentiate the practices of Judaism from the practices of Islam, so as not to cause confusion. It is also said that whoever gives charity on this day will be rewarded as if he has given charity for a year. The 10th of Muharram is historically narrated as a day of great significance. It is said that this is the day God forgave Adam (AS), the day of which Nuh’s (AS) ark came to rest soon the mountain of al-Judi, and also the day on which God forgave the people of Yunus (AS). It is also the day that the Prophet Muhammad’s grandson, Hussein ibn Ali, was martyred. Read more about the historical significance of the 10th of Muharram, and the Day of Ashura as it is observed by Shia sects here. The Prophet Muhammad (Peace Be Upon Him) fasted on the day of ‘Ashura’ and ordered the Muslims to fast on it. The Sahabah said, “Ya Rasool Allah, it is a day that the Jews and Christians honor.” The Prophet (Peace Be upon Him) said, “When the following year comes, Allah willing, we shall fast on the ninth”. My heart breaks when self-proclaimed Muslims literally celebrate on the day in which the Holy Prophet of Islam’s (saw) grandson, family members and companions were murdered. You think Allah swt or the Prophet would be pleased with that? This tragedy is recorded in both Sunni and Shia sources. This is not a sectarian issue. This isn’t even a Muslim issue. This is a humanity issue. For how many of the relatives that you claim to love would you celebrate on the death anniversary of their child?